A new character from the Marvel Universe has joined the shooting of ‘Avengers: The War of Infinity.’ Marvel Studios has a lot of work to do with this new production, which was filmed several months ago in Atlanta. Recently, Chadwick Boseman, the protagonist of ‘Black Panther’ confirmed his appearance in the delivery. And the last to join the project is Doctor Strange, Benedict Cumberbatch. Jay Funk, one of the designers at Marvel Studios, has confirmed such a presence via Twitter. At the moment, the actor has not said anything specific about his participation. 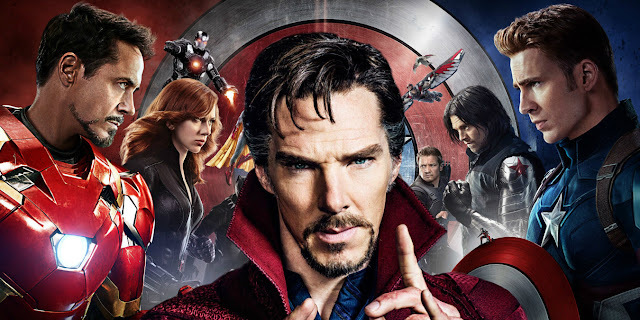 Last year, the Collider magazine reported statements by the Sherlock actor, saying he was “thrilled” when asked about his incorporation into the Avengers adventure. ‘Avengers: The War of the Infinite’ is described by Marvel Studios as the culmination of the entire Marvel cinematic universe since ‘Iron Man’ in 2008. The film is now shooting under the directors Anthony and Joe Russo, from a screenplay by Christopher Markus and Stephen McFeely. The new installment of the saga will arrive on May 4, 2018. So far, there are not many details about the film, but fans know that the film has a cast of stars. Chris Evans, Robert Downey Jr., Scarlett Johansson, Mark Ruffalo, Chris Hemsworth, Tom Holland and Benedict Wong are confirmed to appear in the film, among others. Never search these words on Google !! NEVER ! !